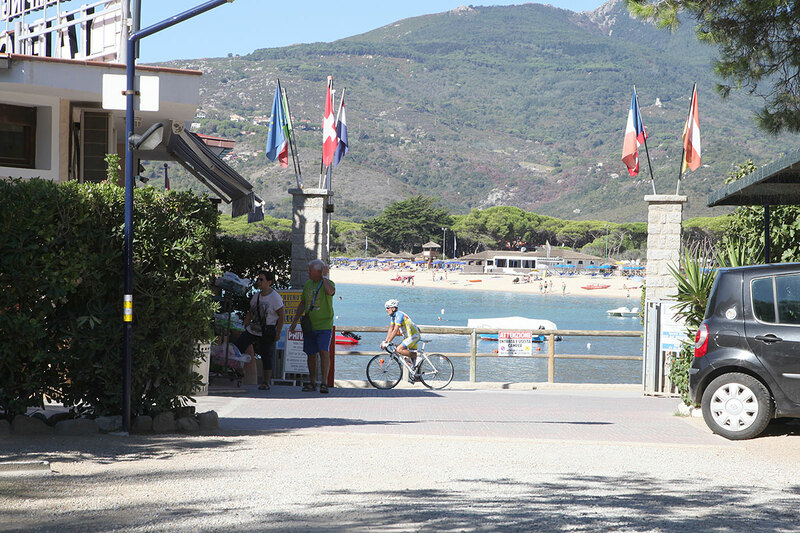 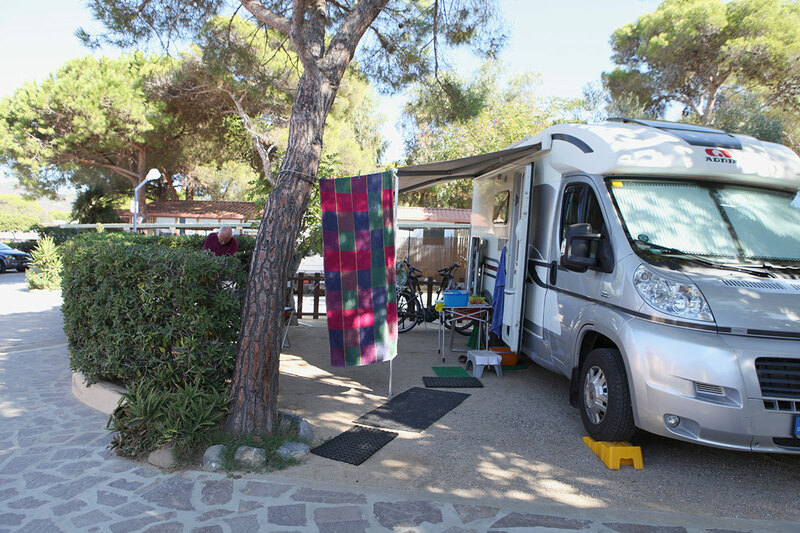 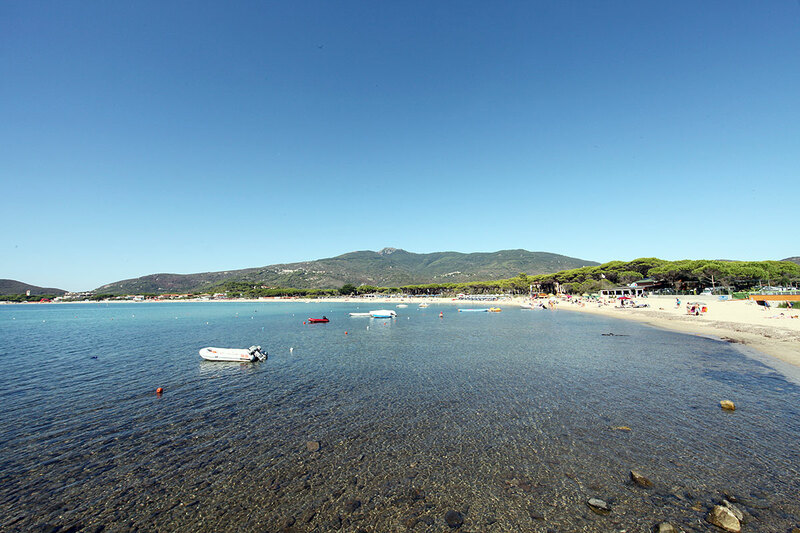 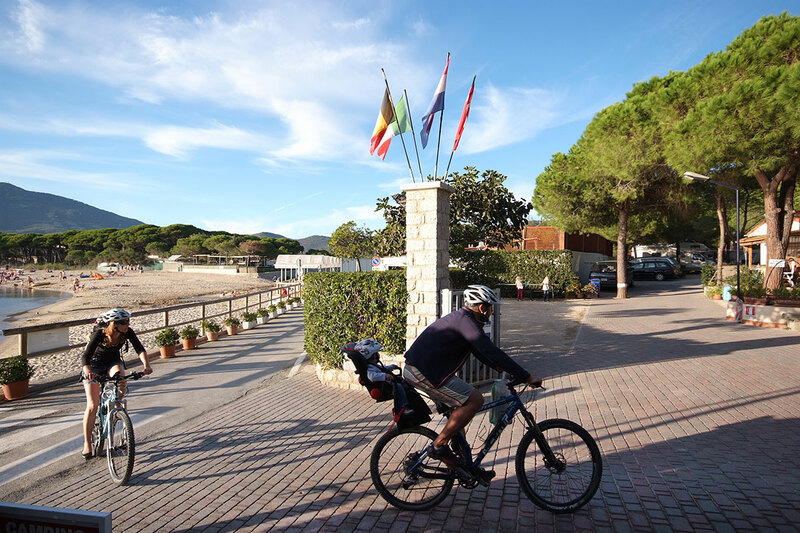 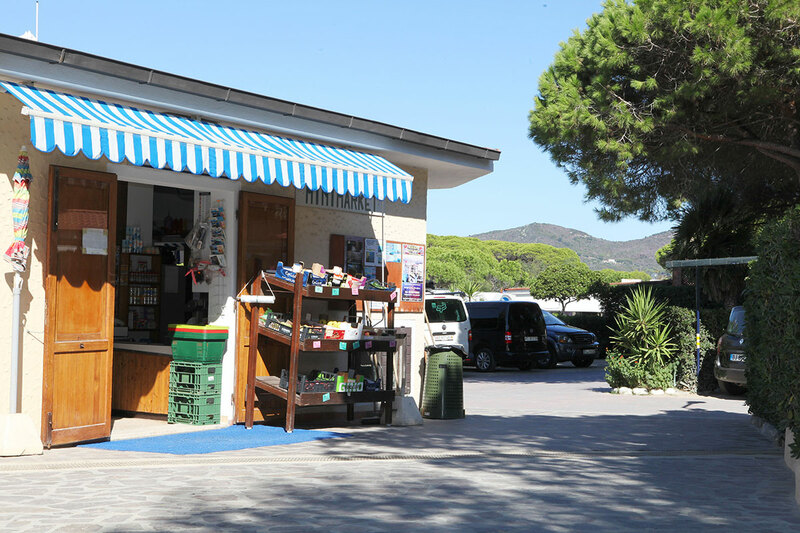 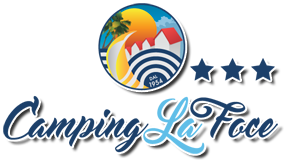 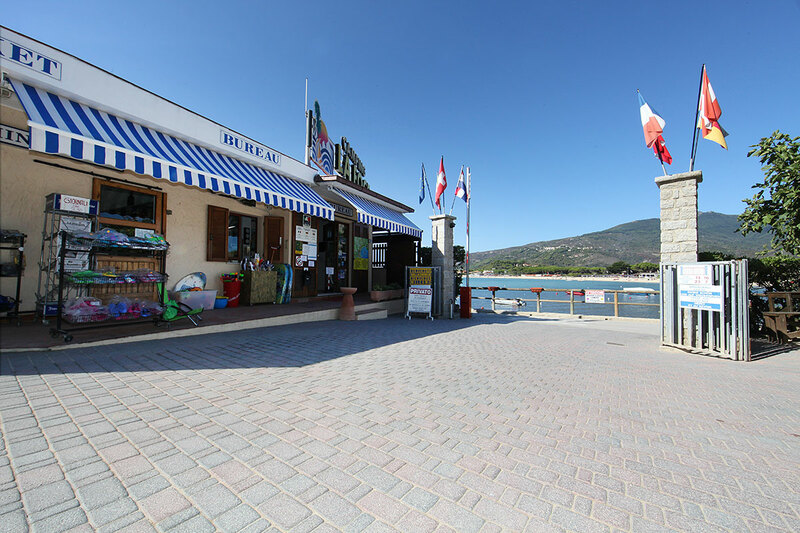 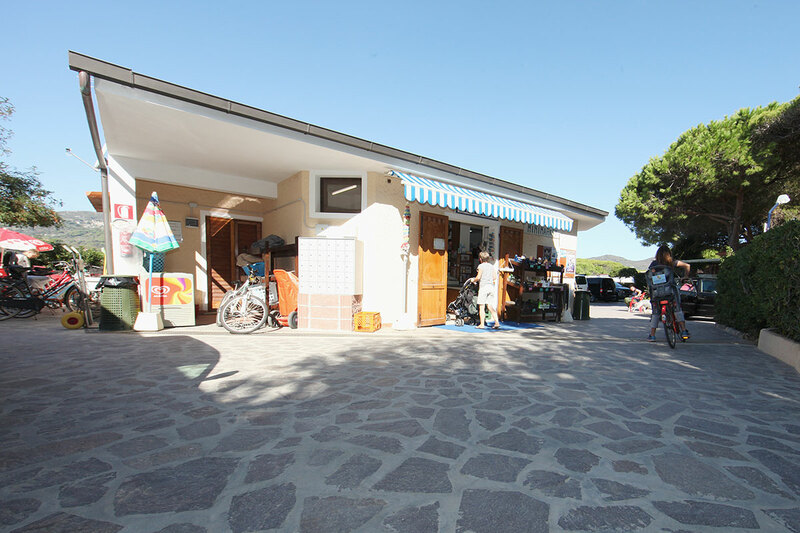 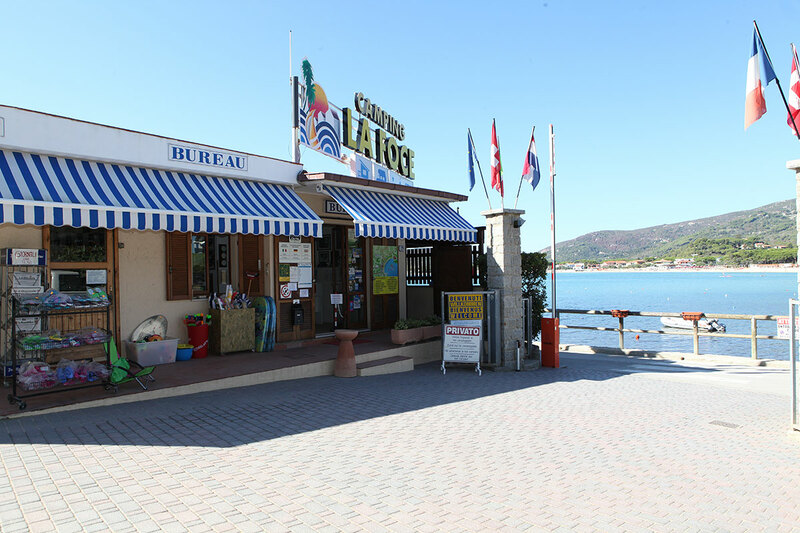 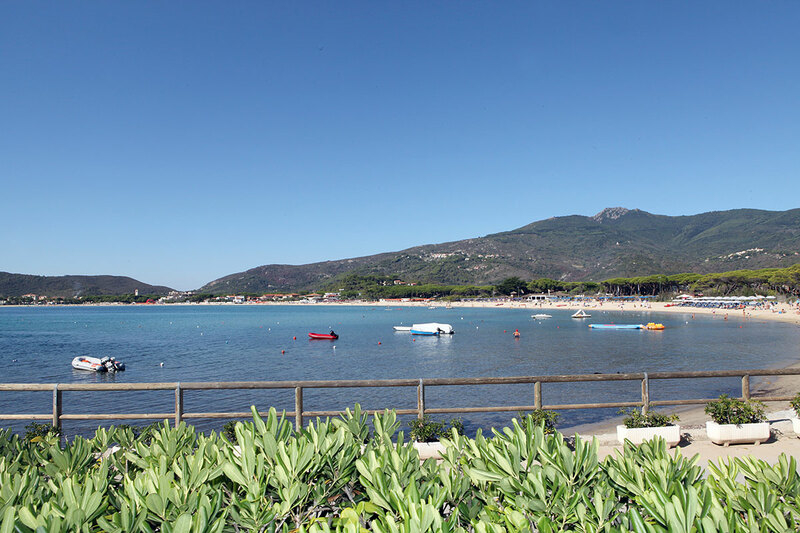 The "La Foce" Campsite opened in 1954, and is still family run; it is only a short walk from the sandy beach, or if you prefer, you can cycle to the centre of Marina di Campo in only 5 minutes. 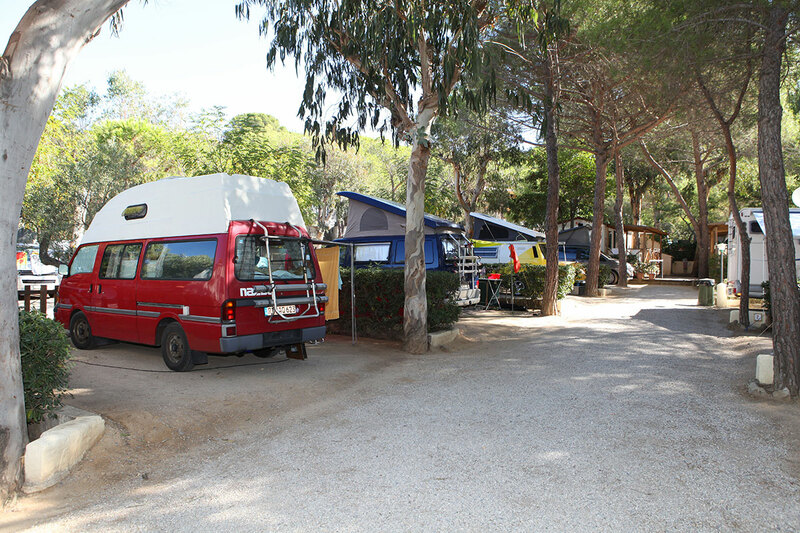 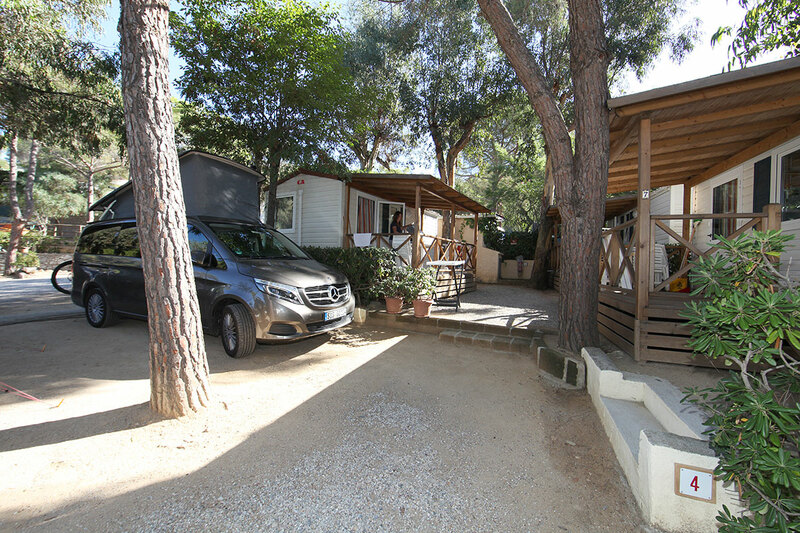 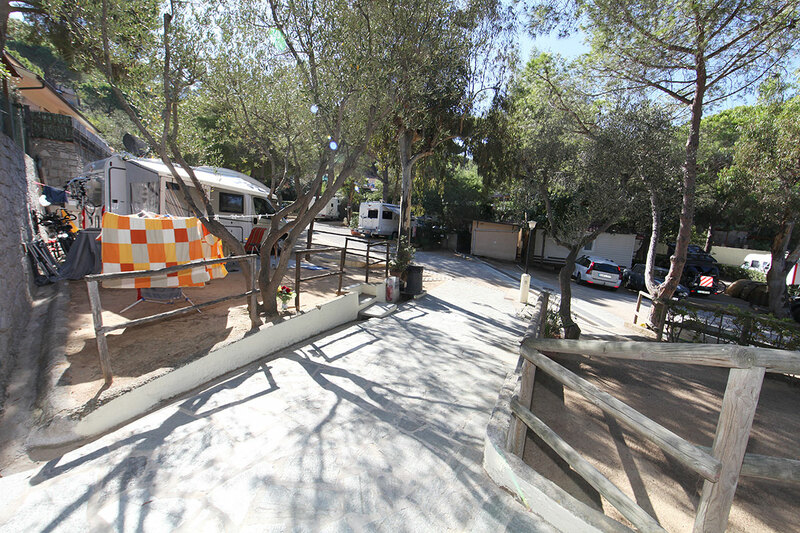 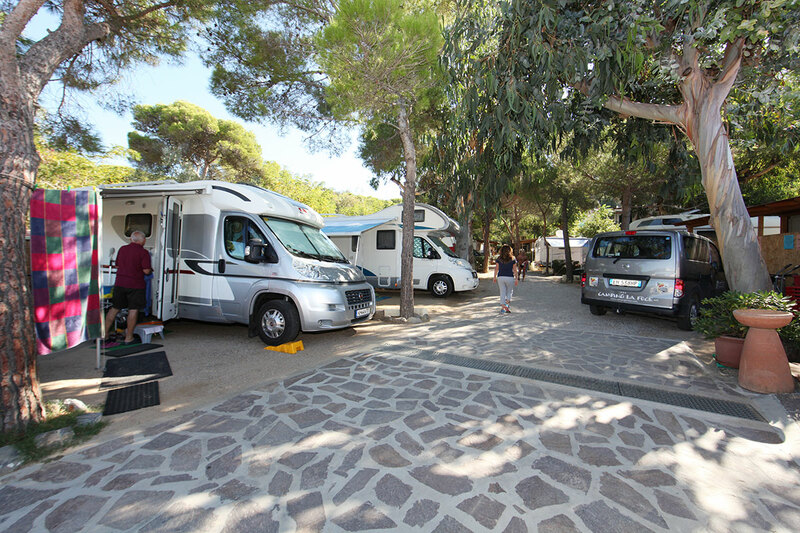 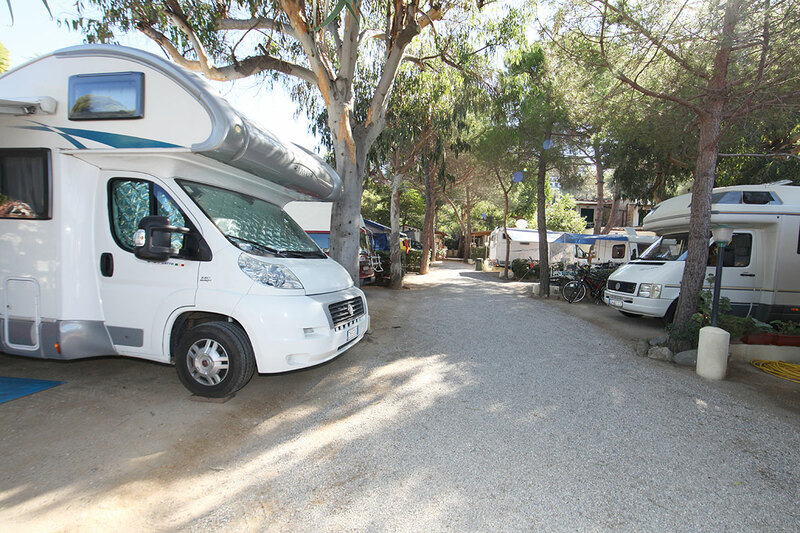 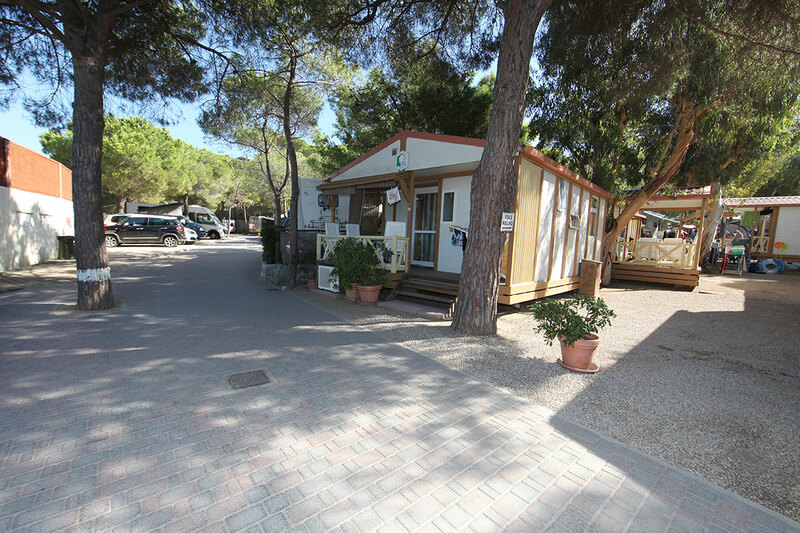 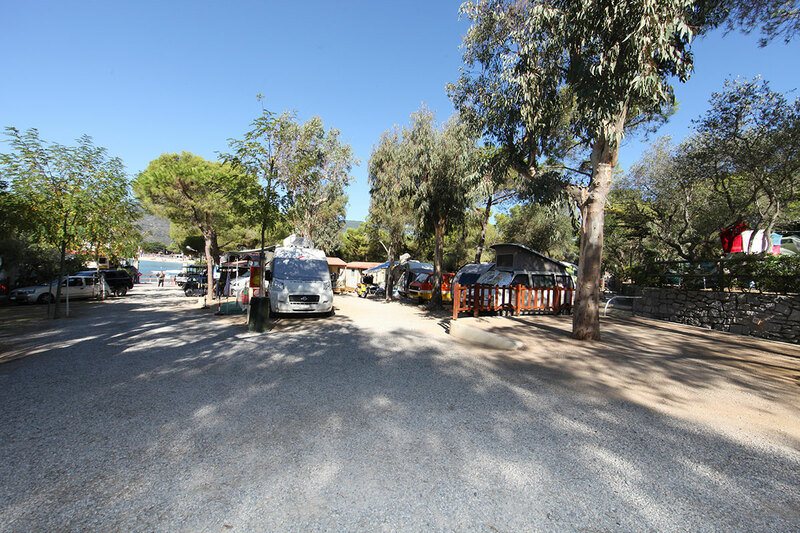 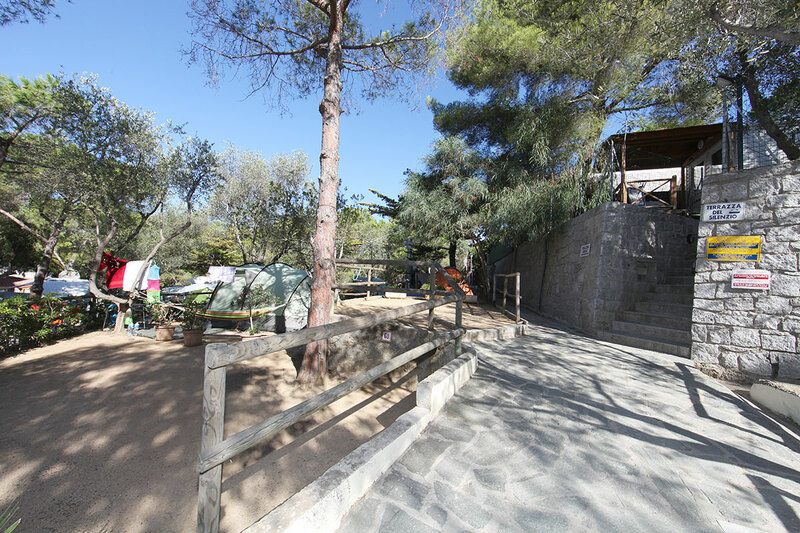 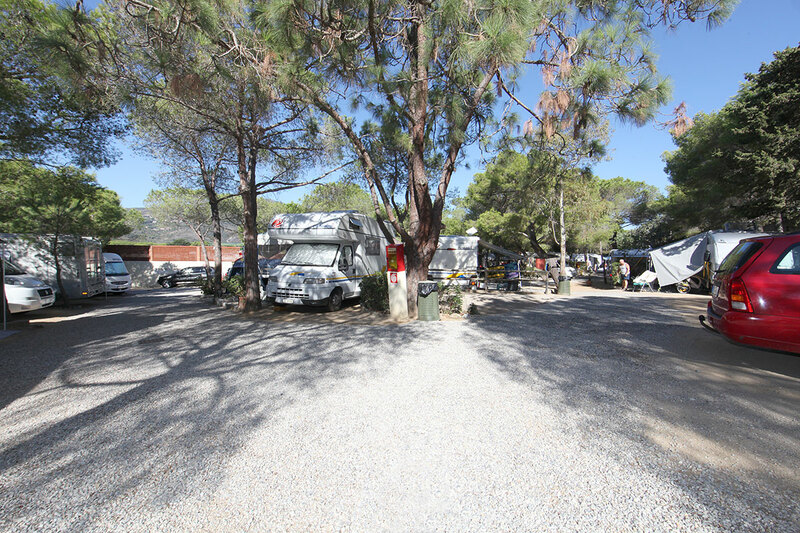 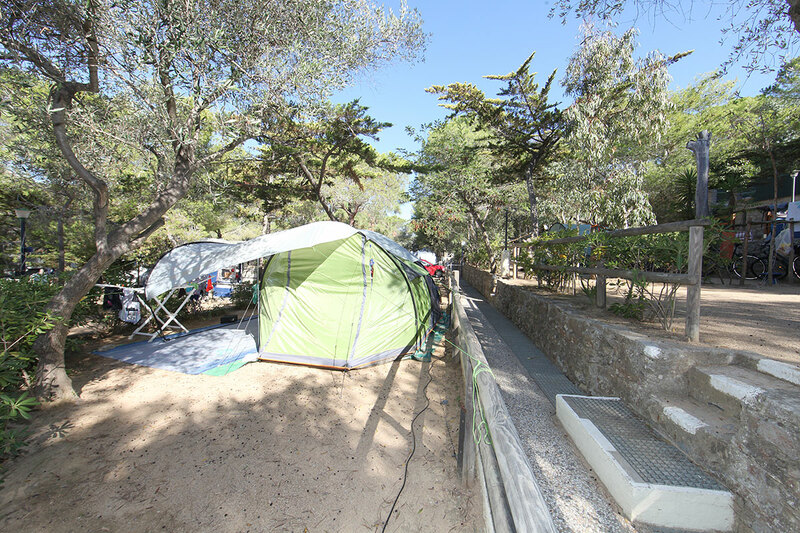 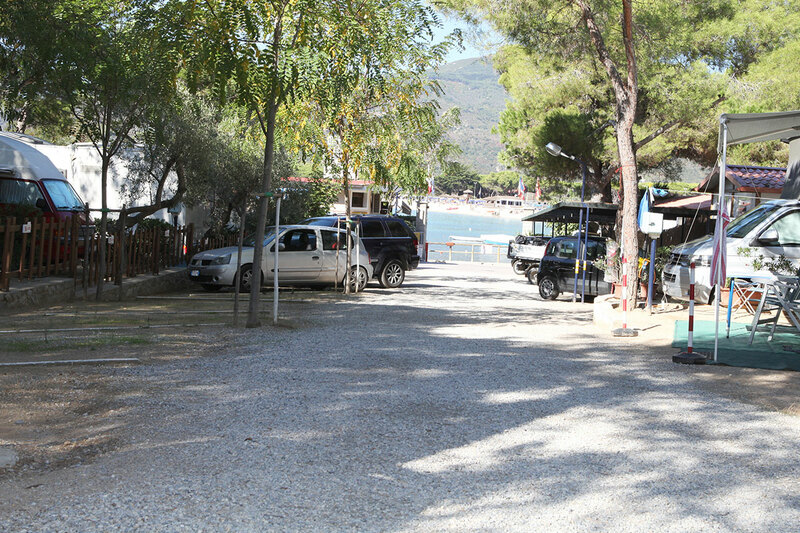 Our campsite has 100 plots for tents, campers, tent trailers and caravans, as well as fully equipped bungalows with covered balcony and air conditioning, that sleep up to 4 or 5 people, all in the shade of pine and eucalyptus trees and facing the sea. 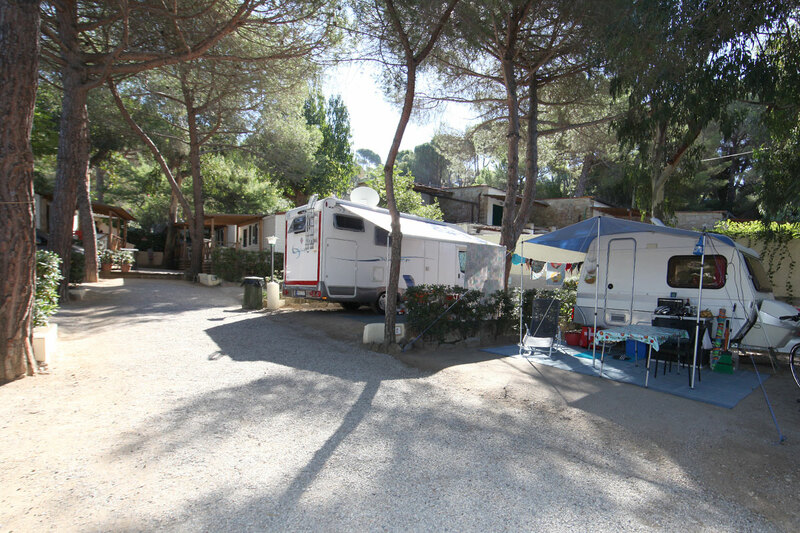 There are separate toilets and washrooms for men and women on our campsite, as well as a special laundry area. 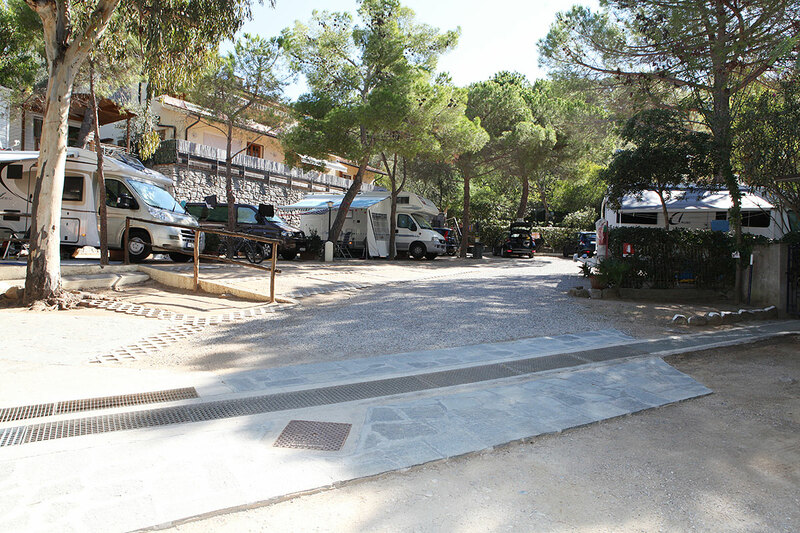 The washrooms include wash basins with hot and cold water, foot wash basins, toilets and squat toilets, small shower bidets, chemical drains, bathrooms for the disabled, wall hair dryers, 220 volt electricity sockets, showers with hot and cold water. 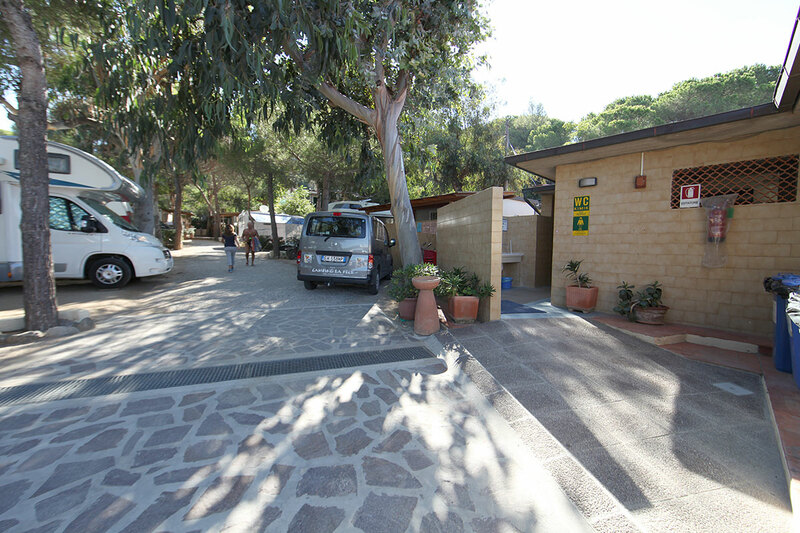 There is also a separate 'baby room' at your disposal if you wish to wash your children there. 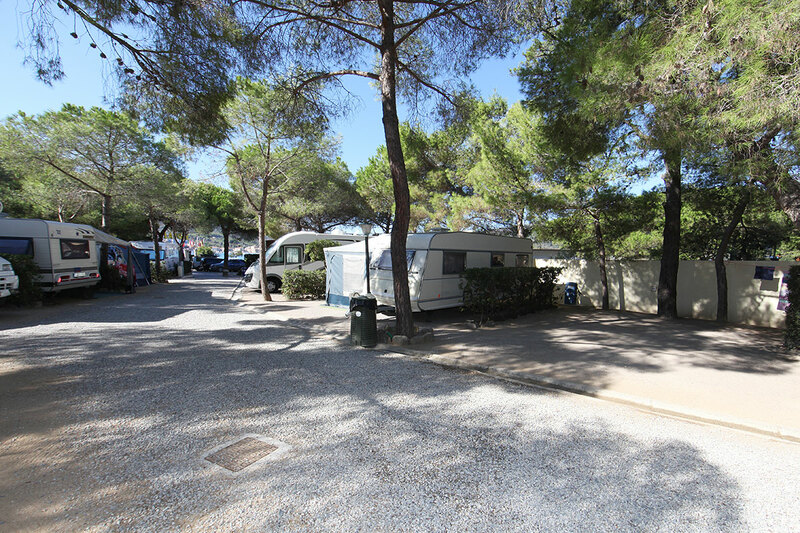 The laundry area includes sinks for dishes with hot and cold water, laundry wash tubs, ironing facilities, washing machines and tumble dryers. 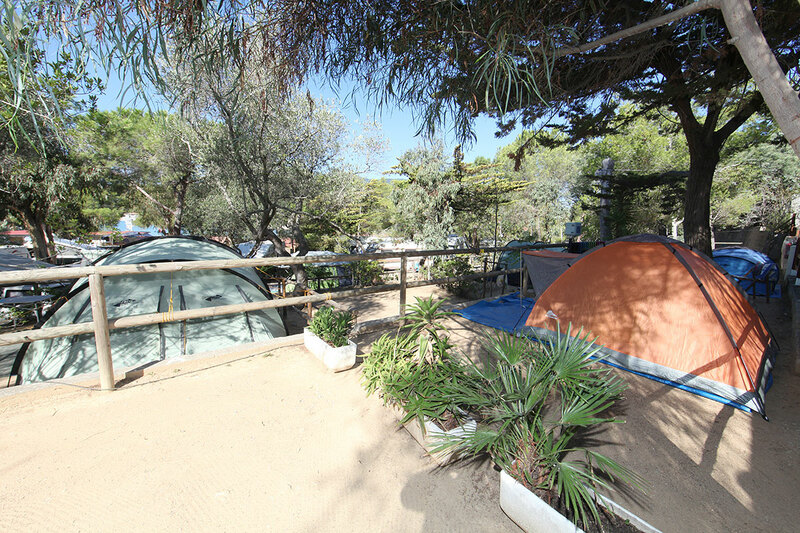 The Campsite also has some mini apartments. 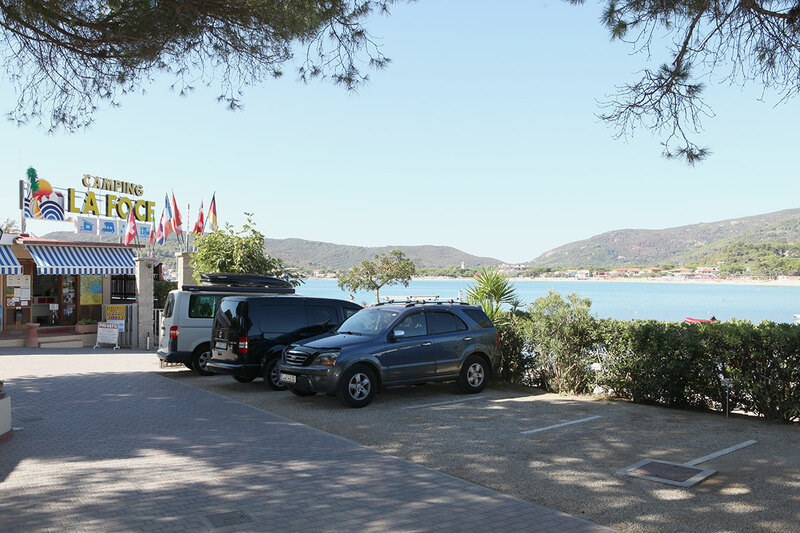 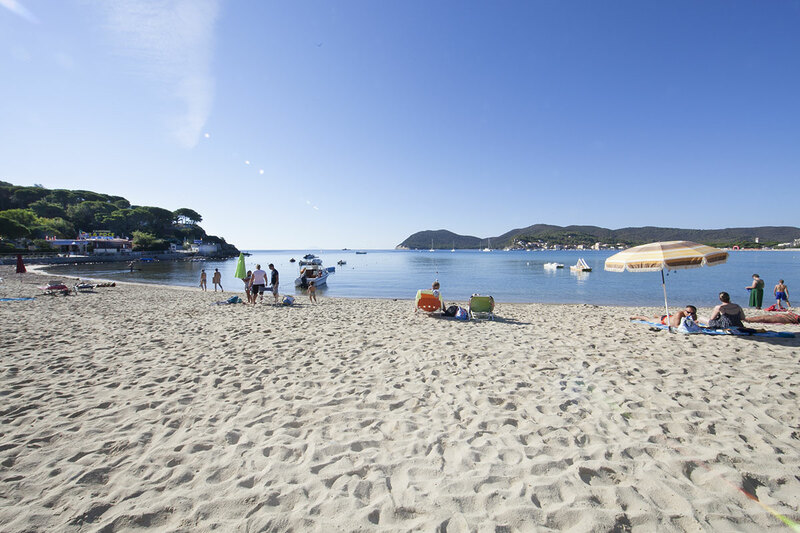 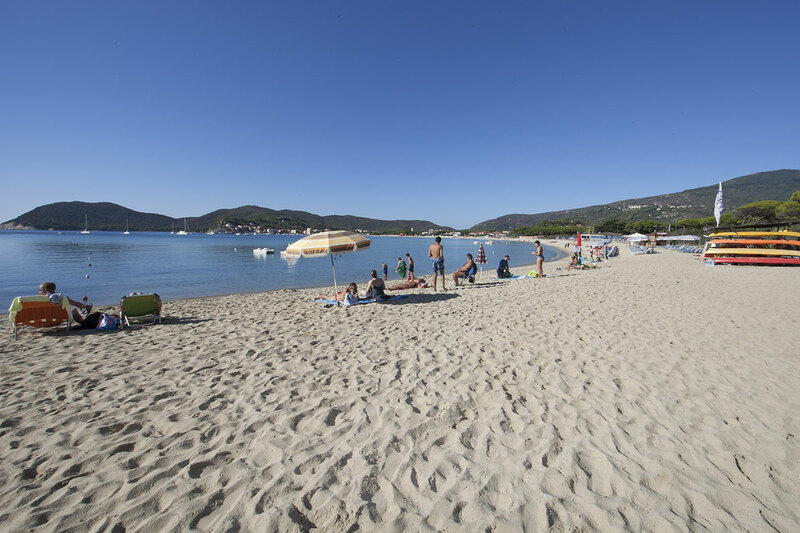 There are diving centers, windsurf schools, sailing schools, bathing establishments, boat, dinghy, car, motorbike and bicycle rentals near the campsite. 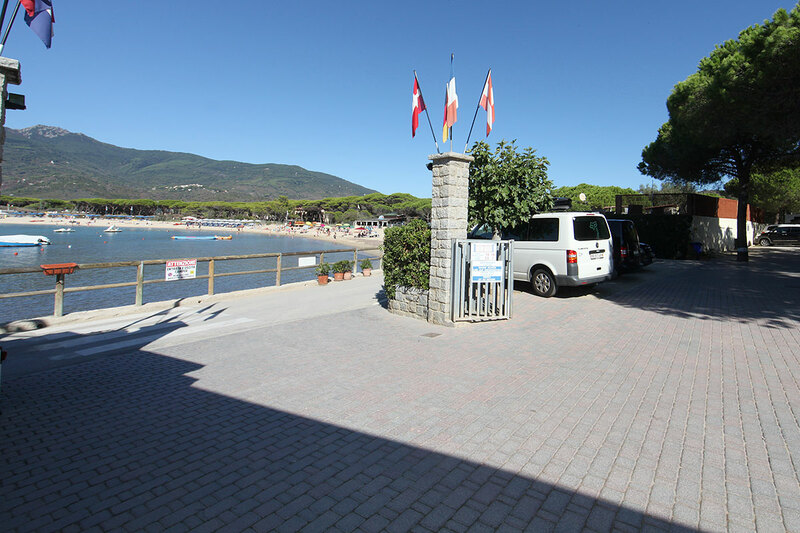 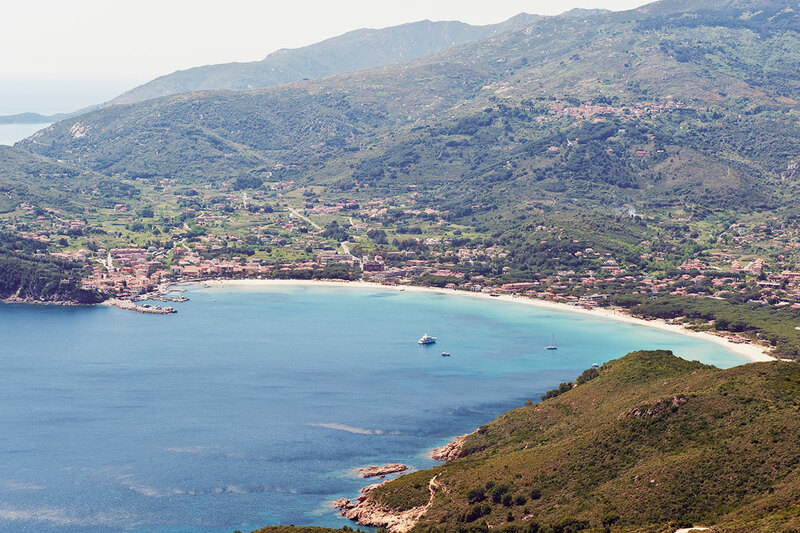 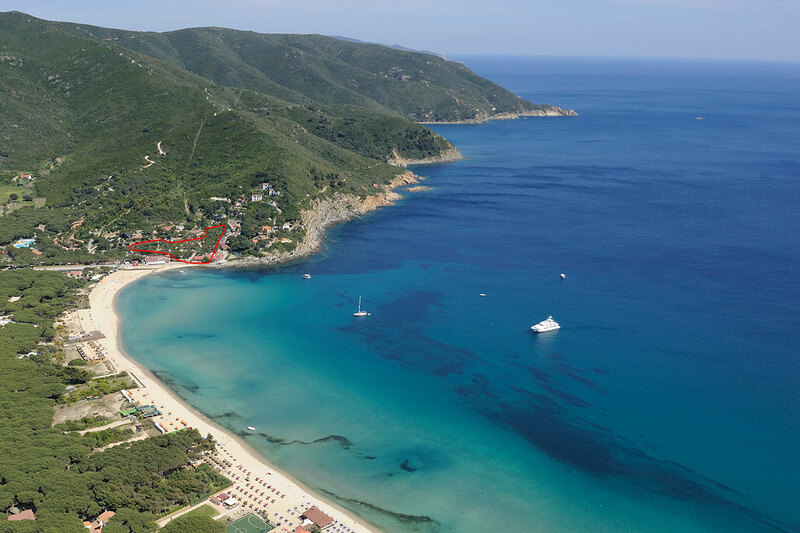 In agreement with the "Hotel dei Coralli" that is only about 500 mt from the campsite, our guests may use their sports facilities (tennis and five-a-side football). 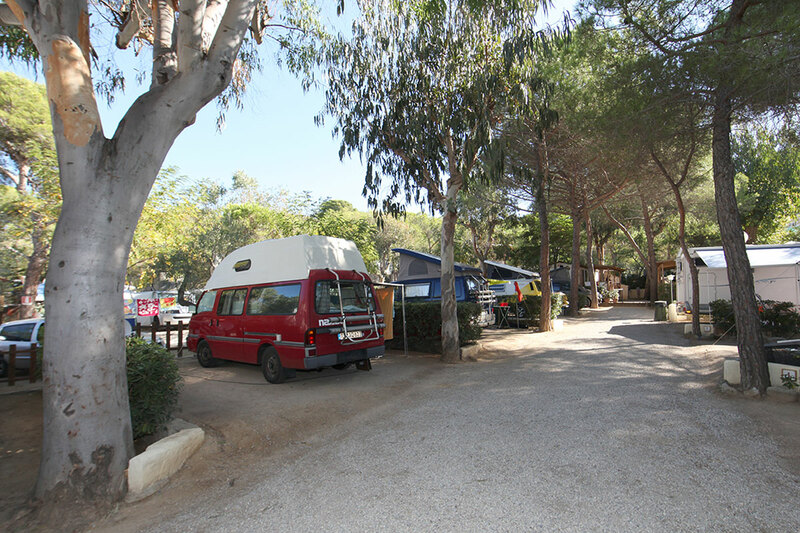 There are bars, pubs and nightclubs about 1 km from the campsite.